Experience the best of Australia with our warm, welcoming crew, delicious menus, excellent entertainment options and unsurpassed comfort. Get the latest flight offers and travel reviews delivered straight to your inbox. Discover the new-look Travel Insider for expert travel guides, destination inspiration, the hottest restaurants, hotels and more. 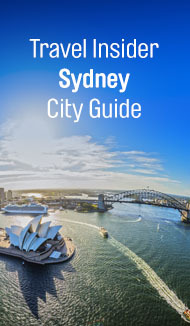 * Prices include taxes, fees and carrier charges payable to Qantas (approximately USD178-290 as at 26 August 2018) (exclude any amounts payable to third parties at the airport) and are based on payment at qantas.com. Prices may fluctuate if taxes or foreign exchange rate change. Fares may not be available on all flights or days. Some flights are operated by partner or subsidiary airlines.